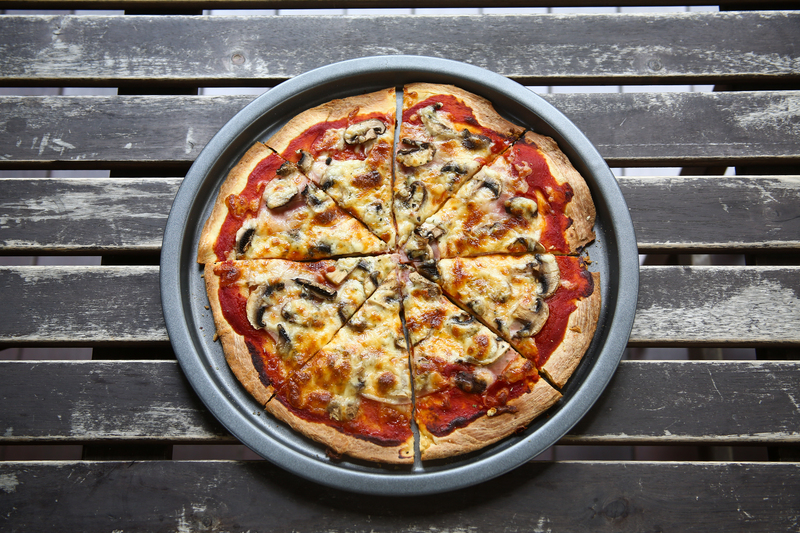 It’s been a while since a homemade pizza came out of our oven. We used to use the bread machine to make the pizza dough but ever since the bread machine spoilt, we haven’t made pizza. 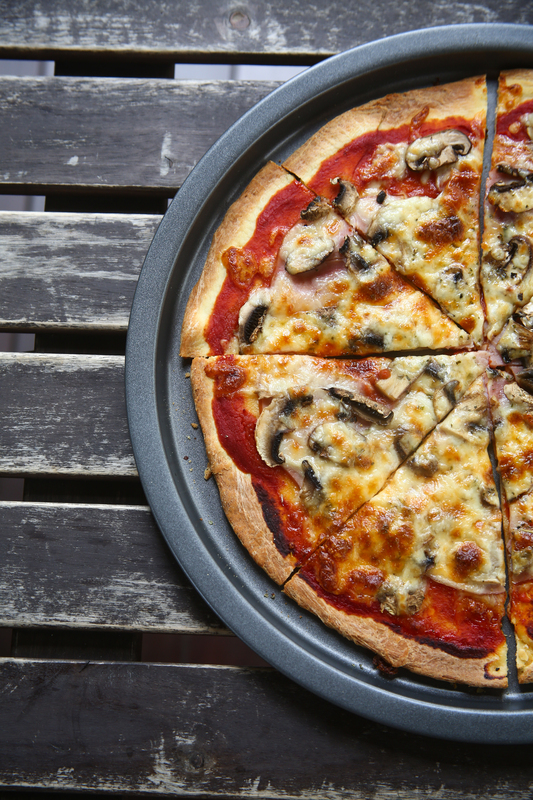 It’s depressing because pizza is one of my favourite food and it is only satisfying if there are lots of ingredients on top which is never the case when you eat pizzas in restaurants. Having recently discovered the amazing powers of my Kenwood mixer, I used it to knead my pizza dough and happily piled loads of ingredients on top of the base 🙂 Claudia is happy. 1. Place warm water, sugar and dry yeast in a bowl for 5 min until it has frothed. 2. Combine flour, salt, egg and yeast into mixer bowl. 3. Mix on low speed until dough is smooth and elastic. 4. Oil a large bowl, place dough into oiled bowl and oil the top of the dough. 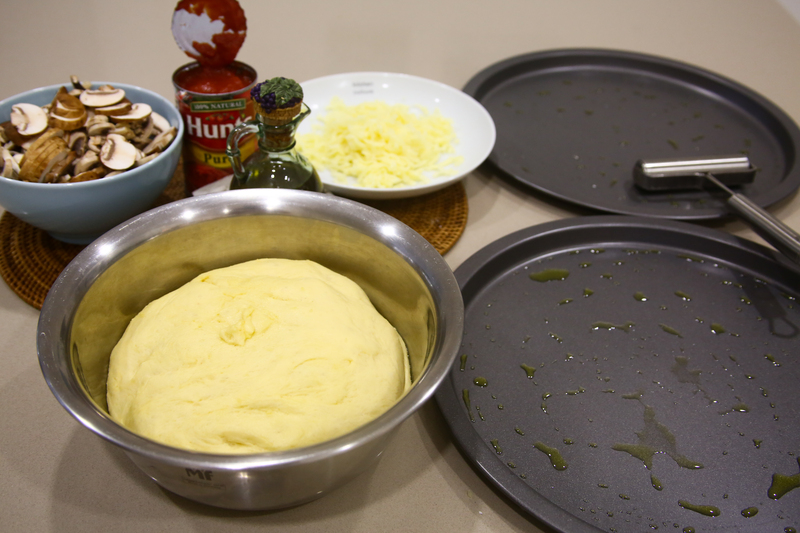 Place a cloth above the dough and let it rest in a warm place for 2 hours or until it has doubled in size. 2. 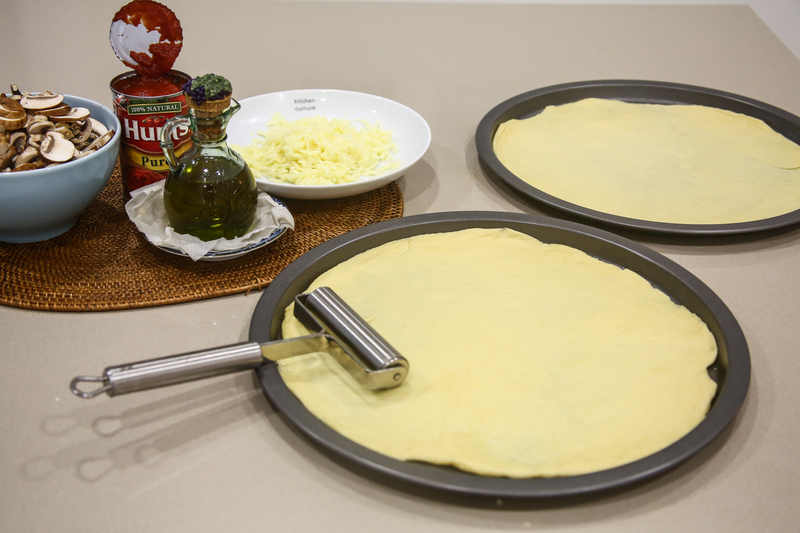 Divide dough into two, place each dough in a medium sized pizza pan (9 inch). 3. Roll out dough and place into oven for 5 mins. 4. 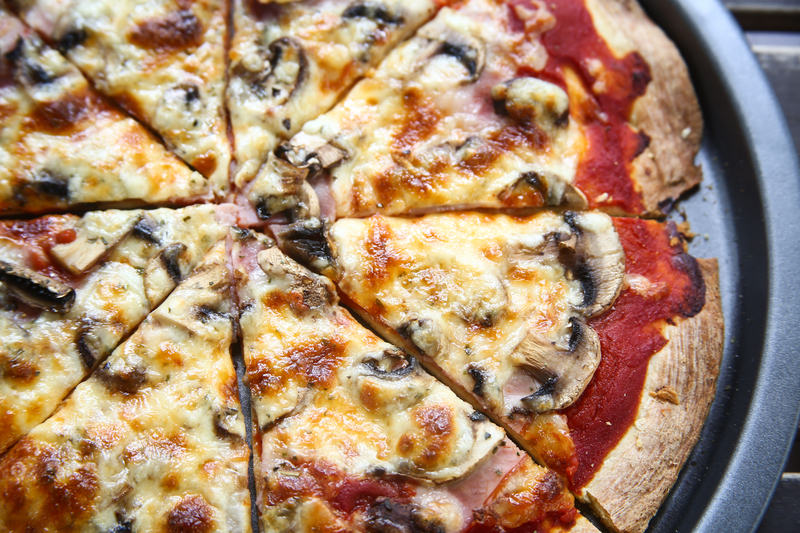 Remove pizza from oven, spread tomato paste and sprinkle mozzarella cheese on top. 5. Place in oven for 3 minutes or until cheese has melted. 6. 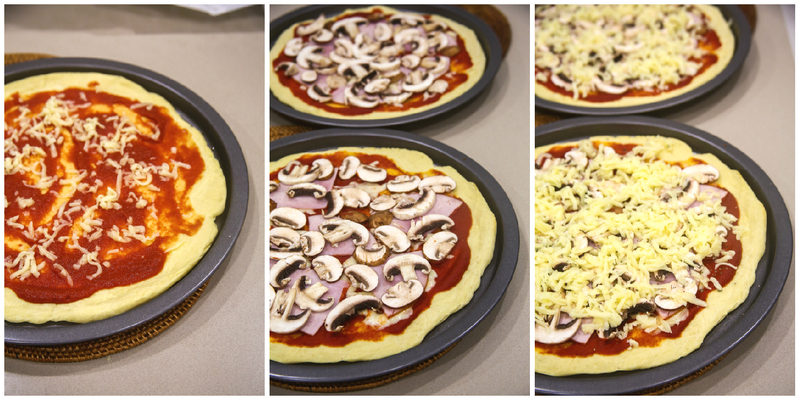 Place desired toppings and bake till cheese is melted and brown.